As summer approaches, picturesque roadside stands, farmer’s markets, and fields growing Community Supported Agriculture (CSA) dot the horizon from the Golden Gate to the Garden State. Consumers go to their local Farmer’s Market to keep spending local and to hopefully create jobs in the community. They “buy local” to reduce environmental impacts. Perhaps they believe that locally-produced goods simply taste better and have health benefits non-locally produced food lacks. Some believe interacting with neighbors builds trust within the community, while others believe local offers greater food security. But “buying local” conflicts with basic economic principles. Two hundred years ago David Ricardo presented the theory of comparative advantage. He demonstrated that relative costs, not absolute costs, determine the efficient allocation of resources. The theory of comparative advantage explains why, for example, even though Lebron James may be the best typist in the Cavaliers organization, it makes economic sense that he does not write all his own messages. His time is better spent honing his basketball skills. Since relative costs vary, there are mutually beneficial gains from trade. The “buy local” movement resists Ricardo’s argument and attempts to explain why “local” makes more sense. But does the welfare of local citizens improve when they “buy local”? Let’s consider the cost and benefits to better understand when buying local makes economic sense and when it does not. First, the preferences of the consumer matter for welfare analysis. Suppose every Saturday morning ‘Chris’ goes to the local farmers’ market in order to purchase locally grown vegetables. Even if it costs more than non-locally produced vegetables and is less efficient, Chris is willing to pay that higher cost. Second, proponents claim that “buy local” yields environmental benefits. Buying local allegedly limits the costs of pollution and cuts down on transportation costs. It is generally better for the environment for one large semi-truck full of a product to travel across several states than one small pick-up truck going back and forth repeatedly in the same community. The cost per food mile is lower in the former case. Third, buying local may increase social capital that increases long-term economic growth. Repeated interactions between buyers and sellers at the farmer’s market builds trust within a community. Higher levels of trust tend to promote better governance and economic development. 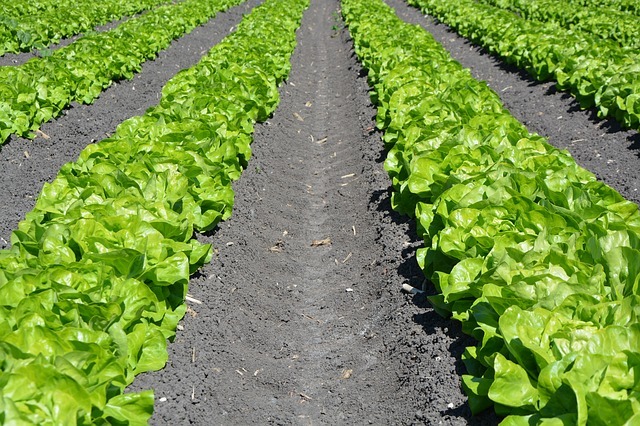 Lettuce row agriculture by Pexels. Public domain via Pixabay. Fourth, some backers claim that buying local provides food security for the local community. In case of a crisis, the availability of locally produced food may mitigate any potential harms. However, it encourages farmers to produce inefficient amounts that may be used when a crisis occurs. A more economically sound approach recognizes the costs of inefficiencies exceed the benefits. The formal model generally concludes that the traditional case for comparative advantage remains largely unaffected by these concerns. In fact, in many instances, the buy local movement harms the local economy. One of the basic tenets of economics is that two regions can be made better-off through trade. Buying local generates inefficiencies that reduce social welfare. The policies intended to support the “buy local” movement results in a region producing a good where they do not have a comparative advantage. The costs of policies increase because the locally produced good forgoes the benefits of specialization and the division of labor. Consider the case of negative externalities generated by foods brought in from distant locales. Proponents claim that pollution generated from transporting non-local goods to local markets justifies their claim. However, if the externalities require some kind of public response, a Pigovian tax makes more economic sense than encouraging “buy local.” The tax addresses the source of the externality. Buying local leaves the externality in place and does not address the inefficiency associated with deviating from comparative advantage. “Buy local” may raise welfare in the event that the local community wishes to raise the profits of local producers. Consumers pay a higher price for local food. They do so not to promote efficiency but rather to encourage local production and consumption. In this case, the buy local movement has a compelling case. While “buy local” may raise the profits of local producers however, it decreases welfare of other regions. Similarly, if all regions “buy local,” then all regions are hurt because of the absence of trade. The benefits of specialization disappear. In other words, a region should produce what it is relatively good at producing and then trade with others. It simply does not make sense to buy oranges produced in Michigan or coffee grown in Nebraska. If all residents of Michigan bought their oranges only from neighbors, they will hurt Florida producers and Michigan consumers. If other regions have the advantage to grow and produce foods, let them grow where it makes the most economic sense. Featured image credit: vegatable, basket and food by Markus Spiske. Public domain via Unsplash. Jason Winfree and Philip Watson are both associate professors at the University of Idaho. 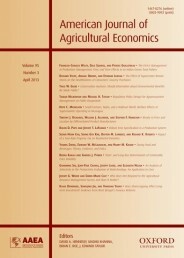 They are co-authors of the article 'The Welfare Economics of “Buy Local”' in the American Journal of Agricultural Economics. This Adam Smith version of division of labor and economic specialization can have significant repercussions regarding a region’s development. The buy-local sentiment is a counter-movement that seeks not only to bolster local economies but to decentralize food production and disrupt business as usual in the supply chain. The externalities you forgot to mention is the significant damage that large-scale industrialized agriculture has on our environment as well as our health. The problem is that until we commit to including the cost of externalities into everything bought and sold, society will struggle with ways to find a work-around.